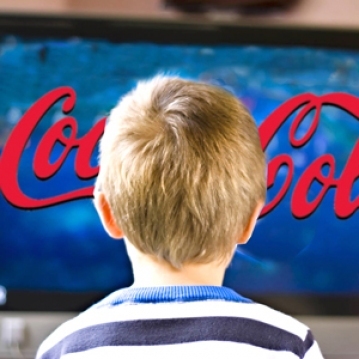 Are all the commercial messages kids are bombarded with today having any noticeable negative effects? And if so what can a concerned parent like me do to limit my own kids’ exposure to so much advertising and marketing? - Jason Baldino, Somerset, NJ. No doubt, marketers are hard at work targeting our children with their messages and creating young demand for their products. Companies in the U.S. today spend some $17 billion yearly advertising to children, a 150fold increase from just a few decades ago. Some cashstrapped school districts have even started selling ads on and sometimes in their school buses as a way to bolster sagging education budgets. To be an American kid today is to be bombarded with marketing messages and sales pitches. It’s no wonder, given the amount of advertising and marketing they endure, young people in our society are experiencing record levels of obesity and problems with credit card debt. According to the nonprofit Center for a New American Dream (CNAD), a leading proponent for more ecologically sustainable and community - oriented lifestyles in the United States, this incessant marketing is turning our children “into little consumers, alienating them from nature, getting them used to unhealthy diets filled with junk foods, and making them want ever more stuff.” The group points to several disturbing studies, such as one that shows how U.S. children can recognize more Pokemon characters than common wildlife species, while another found the average American kid is exposed to more than 25,000 television ads spanning some 10,700 minutes over the course of just one year. Against this backdrop of media and marketing saturation, what can be done to help steer our kids in a more healthy direction? Given that shielding American kids from these messages would be nearly impossible, the next best thing is teaching them how to parse through the different come-ons and solicitations they are exposed to these days at nearly every turn. CNAD’s free, downloadable 32-page booklet “Tips for Parenting in a Commercial Culture” offers loads of useful information on how to limit kids’ exposure to commercial influences that come via the television, computer or mail slot, and replacing those lost hours with new opportunities for more beneficial activities. Examples abound: playing board or card games, going on a walk or hike, riding bikes, and much more. The booklet also elaborates on how to limit or rid commercial influences in schools and other places where kids spend time away from home. Another great resource for parents and teachers looking to reduce commercial influences on kids is the Campaign for a Commercial-Free Childhood, a coalition of more than two dozen other groups started by consumer advocate and author Susan Linn. The coalition advocates for the adoption of government policies that limit corporate marketers’ access to kids and works to mobilize parents, educators and health care providers to stop the commercial exploitation of children. Teachers love the coalition’s free downloadable Guide to Commercial-Free Book Fairs while concerned parents can download the Guide to Commercial-Free Holidays in order to help themselves and their kids resist the hype. Dear Earth Talk: Dear Earth Talk:This Month´s Topic: Sweden´s Environmental LeadershipFinding "Green Job"